Maritime Vinyl: Steven Tyler - Does The Noise In My Head Bother You? - review! Steven Tyler - Does The Noise In My Head Bother You? - review! 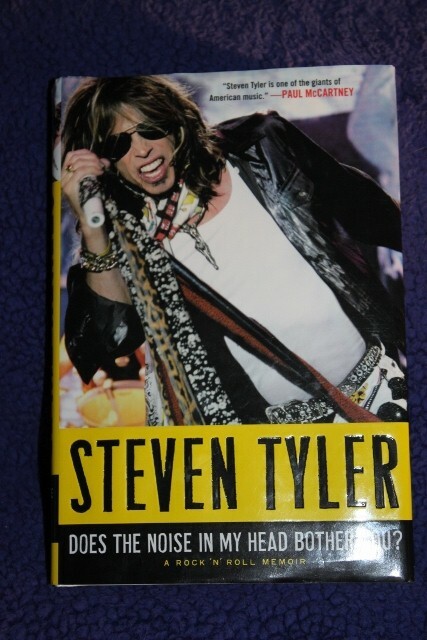 Steven Tyler’s autobiography “Does The Noise In My Head Bother You?“ was a hard book to put down. I guess it’s easy to keep it interesting with a life like his! There is plenty to cover: he has consumed more drugs than some would think is humanly possible (he even smoked a plastic comb); he “entertained” an endless line of beautiful women; he wrote/recorded/performed some of the most recognized rock songs; and he has a fan base that stretches through every living generation. His story is told in his own poetic way: full of rhymes, slang and vulgarity which works perfectly. It’s as if he has told this story in an interview and it was transcribed on paper, it’s not the typical “rock stars thinking that they are journalists” approach. Tyler plays with your emotions making you cry telling of when his mother passed, but more often you will be laughing at his priceless reckless stories, especially when told in his style. 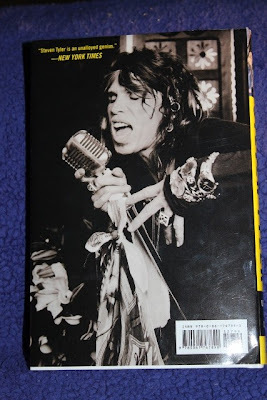 He covers everything in this memoir, not dwelling on any of the boring details of his childhood, but instead quickly jumps to his music career which began as a teenager. Having spent more of his life on drugs than sober is not something that he is proud of but, he doesn’t shy away from his troubled past either. He has battled his addiction through various rehabs numerous times, always in the public eye but, owns up to his mistakes and keeps his head held high. Tyler has been the source of many rumors and stories in the tabloids and he confronts most head on and puts any misconceptions to rest. Was he on drugs when he jumped on stage during Joe Perry’s gig in 2009? Yep! Did he keep it a secret from the rest of the band that he was going to join American Idol? You bet! You don’t have to like what decisions he made in his life, or agree with his direction for the future, but at least he gives us his side of the story with honesty and reasoning. 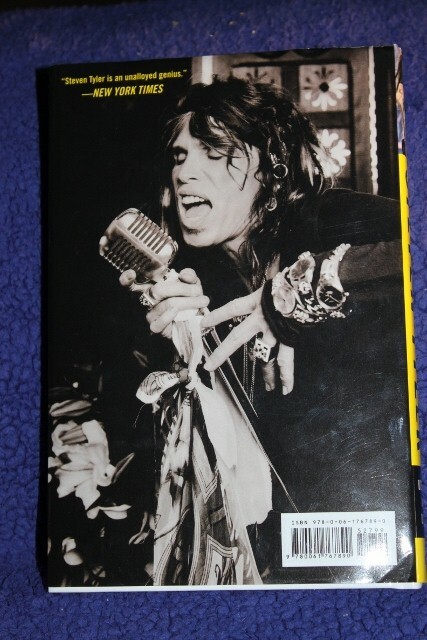 This book gave him the opportunity to dump all kinds of juicy secrets about his fellow band members but instead, he takes the high road and always leaves a level of the unknown. He tells us of many of their troubles and addictions but avoids singling anyone out. This is the story of Steven Tyler, not Aerosmith. I highly recommend this music memoir. It was an easy read, yet still full of detail. He never lets you get bored and holds nothing back. 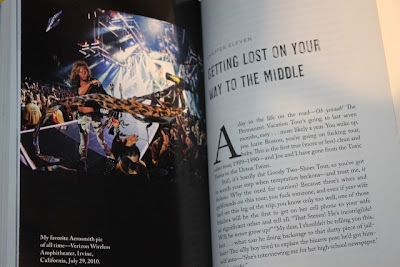 Steven Tyler lives the rock star life that most people only dream of living and he never acts as if he took it for granted. Johnny Cash - Orange Blossom Special! The Rooftop Singers - Walk Right In! Quiet Parade - Old Haunts - review! crash course on Get The Knack! crash course on The Diodes!